Suspended NPA senior advocate Nomgcobo Jiba takes the witness stand. Suspended NPA senior advocate, Lawrence Mrwebi is also expected to conclude his testimony into allegations of prosecutorial interference in high profile fraud and corruption cases on Thursday. He’s the fifteenth witness to testify before the Mokgoro Enquiry in Pretoria. The Mokgoro Enquiry is investigating the fitness to hold office of Advocates Nomgcobo Jiba and Lawrence Mrwebi. They are accused of misconduct and mishandling high profile cases. Testimonies from current to former colleagues have painted a crippling picture of political interference and dubious prosecutorial decisions by the pair. 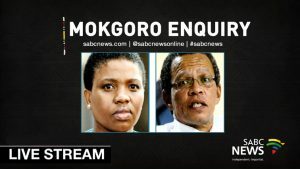 The post WATCH: The Mokgoro Enquiry appeared first on SABC News – Breaking news, special reports, world, business, sport coverage of all South African current events. Africa's news leader..